The stunning Sleigh 6 Piece Room set from Little Acorns would complement any nursery. 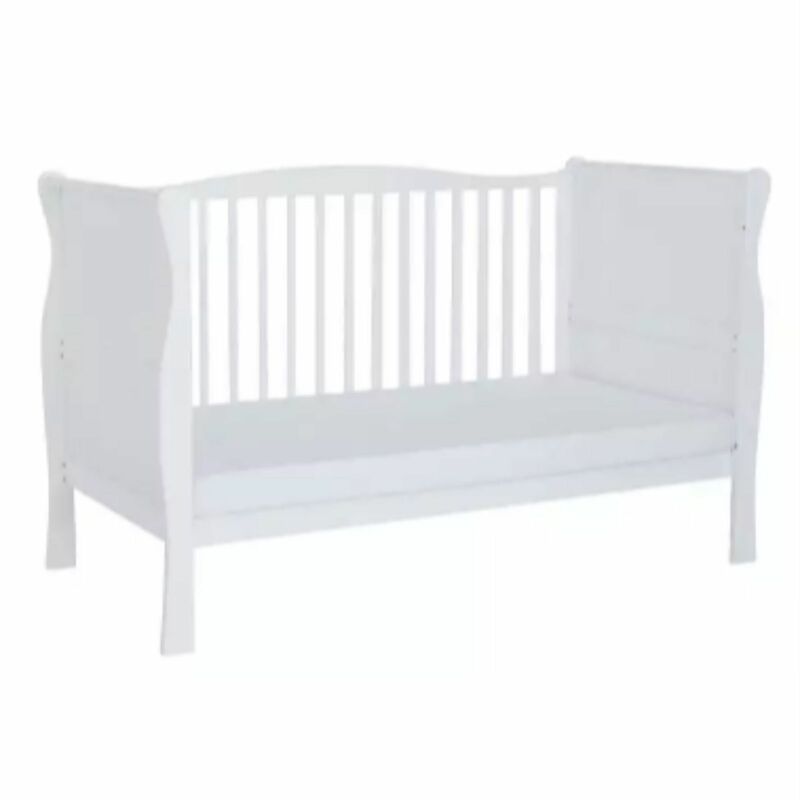 Boasting a sleek, curved design and a crisp white finish, the elegant Sleigh Cot Bed features 2 mattress heights which can be lowered as your baby grows in order to continuously keep them contained safely. 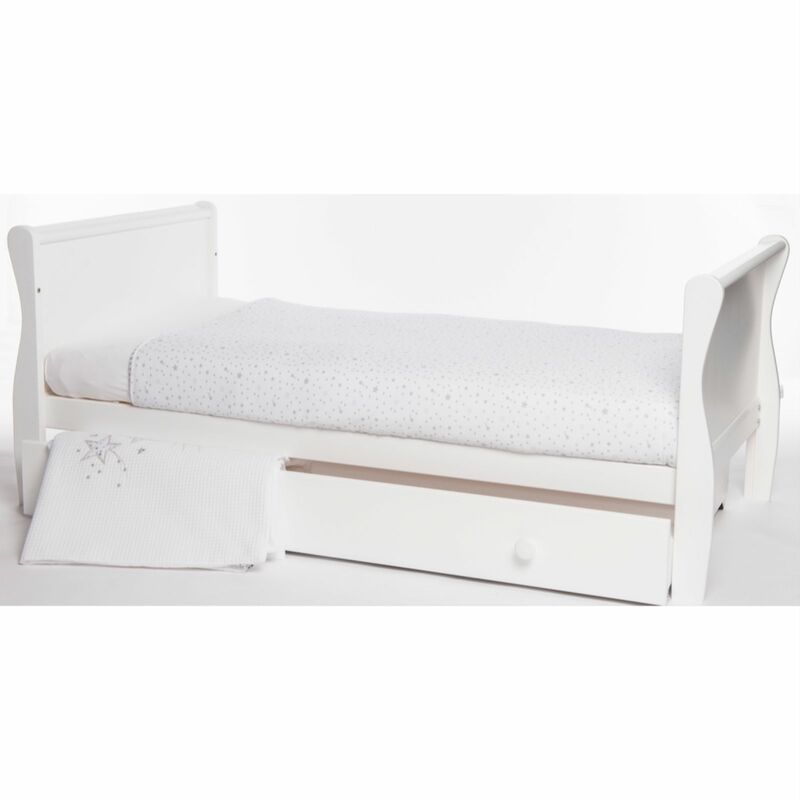 Once your child has outgrown the need for a cot, the Sleigh can be conveniently transformed into a toddler bed for prolonged use. Simply remove the side rails, split down the end panels and you’re good to go! An under bed drawer is also included within the package, which is an ideal storage solution when space is limited. Perfect for clothes, toys or changing accessories, the storage drawer sits beautifully under the bed and rolls out easily for access. 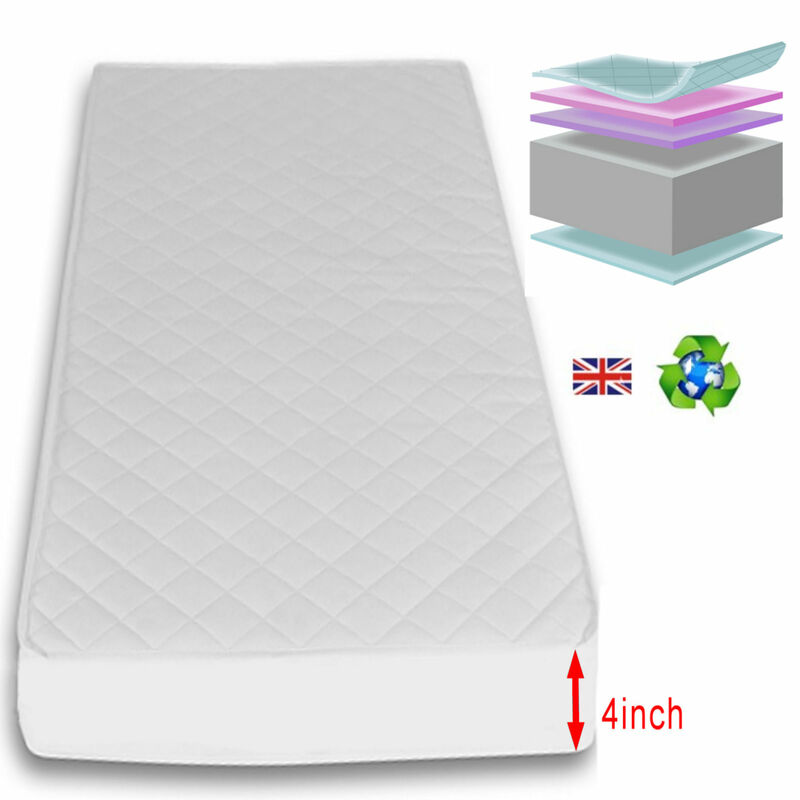 At a lavish 4 inches thick and made using a high density Polyurethane flexible foam material, the 4baby Foam safety mattress is Hypo-allergenic in nature and provides breathable and moisture resistant properties which helps to reduce perspiration and provides your baby a more comfortable and undisturbed sleep. 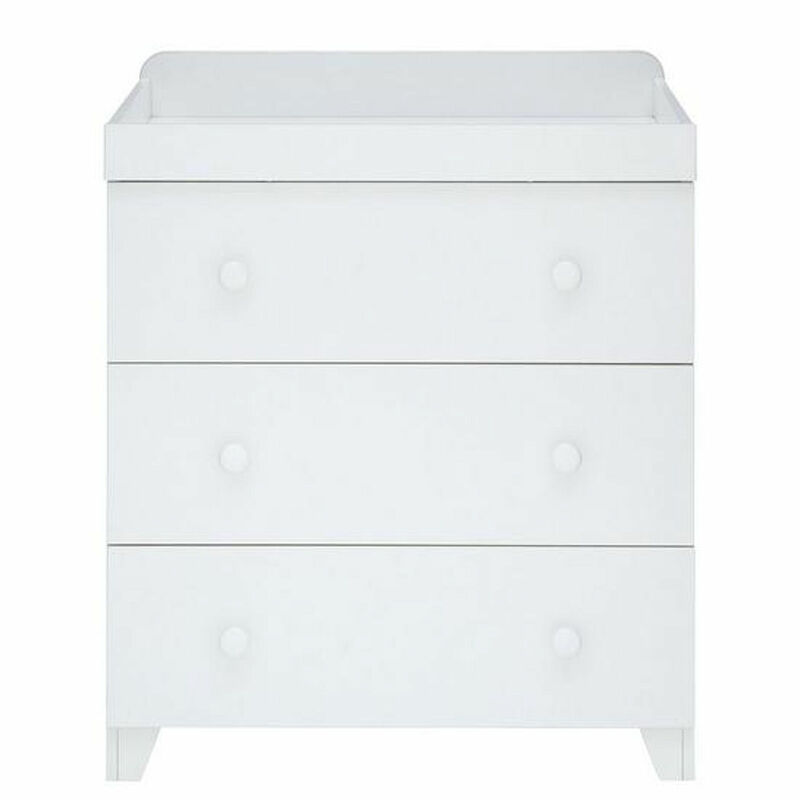 The beautiful classically styled dresser not only provides you with 3 easy-glide full-length drawers which are ideal for storing clothes or bedding, but also offers a dedicated space, at an ideal height in which for you to change your baby’s nappy. 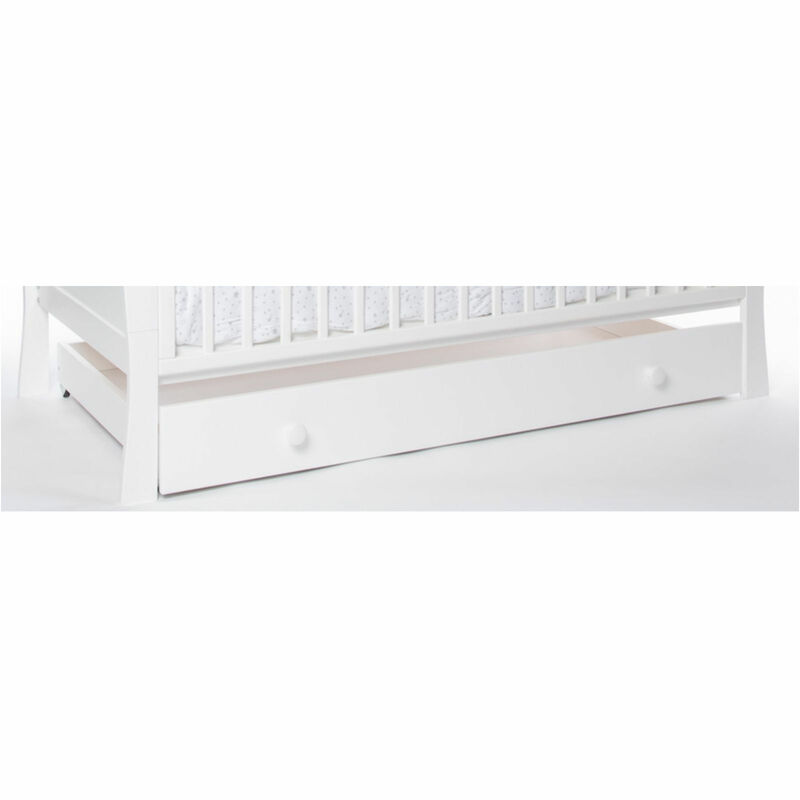 The handy changing station features a removable surround so that when your child grows too large to use the changer (around 12 months) it can still be used as a stylish set of drawers for years to come. Combining both function and form, the Classic Wardrobe from Little Acorns is double-sized to provide ample storage. 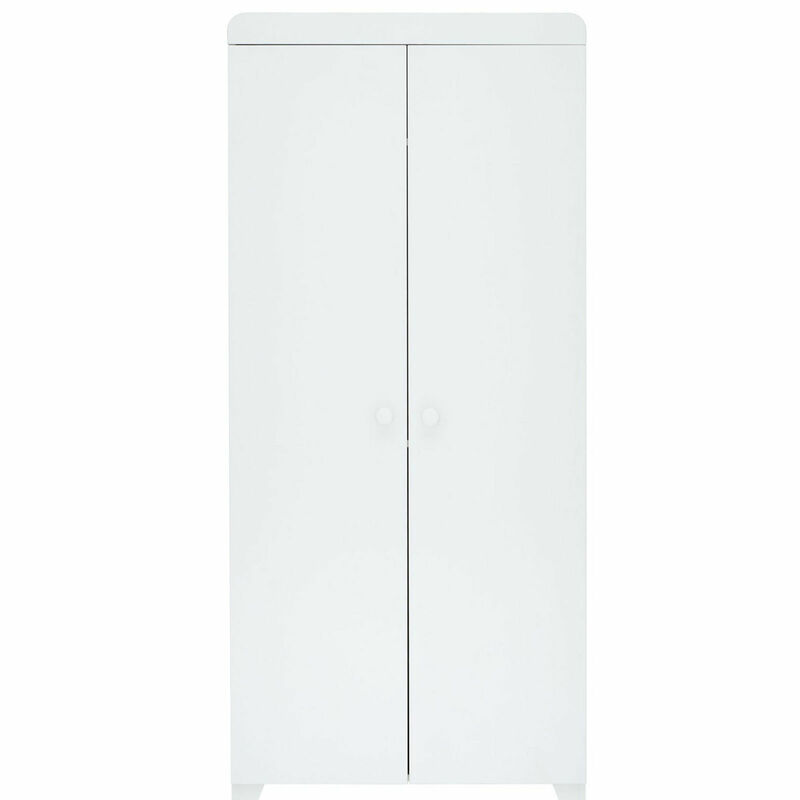 Featuring open shelves and 2 hanging rails this classically styled wardrobe offers you plenty of space for all your little one’s clothes and essential items. Excellent hygiene, and anti-allergenic properties.